Bike paths – for intelligent people only? The new rule says that the pedestrians have to go on the left side and bikes on the right side. OK, it something like expecting that people will go on the left side of a road. Is this change doable? In October 2018 Swedish government made changes in the law. It is about sidewalks/bike paths where both walking and biking is allowed. Normally those are created so there is a line in the middle. That line separates pedestrians from bikes. But that is not easy to understand without the line. Now, the new rule says that the pedestrians have to go on the left side and bikes on the right side. OK, it something like expecting that people will go on the left side of a road. Is this change doable? Already now we can see different discussion flowing around on social networks. People enjoy those open discussion channels. They love the opportunity where they can express they thoughts. But is this change doable? Creating an eye contact with a pedestrian on the bike path (as someone mentioned at Facebook) is not possible. People are inside their phones. They have their headphones and they do not care, they ignore everything around them, until something happens. Then they suddenly become surprised. What? What is going on? After reading what was written in social medias we can agree that an eye contact on bike paths is not possible and we can agree that the best solution is a line that separates pedestrians from bikes. Bike paths – for intelligent people only? We can agree that the best solution is a line that separates pedestrians from bikes. Absolute ignorance or lack of knowledge? Nowadays there are many people who do not understand how to behave and what the line in the middle means. We also have people who absolutely ignore all those rules. So what is more dangerous, absolute ignorance or lack of knowledge? Just try to imagine how this kind of people will be able to understand more complicated rules such as creating an eye contact and walk on the left side. Can they ever be able to fit in modern and healthy society? 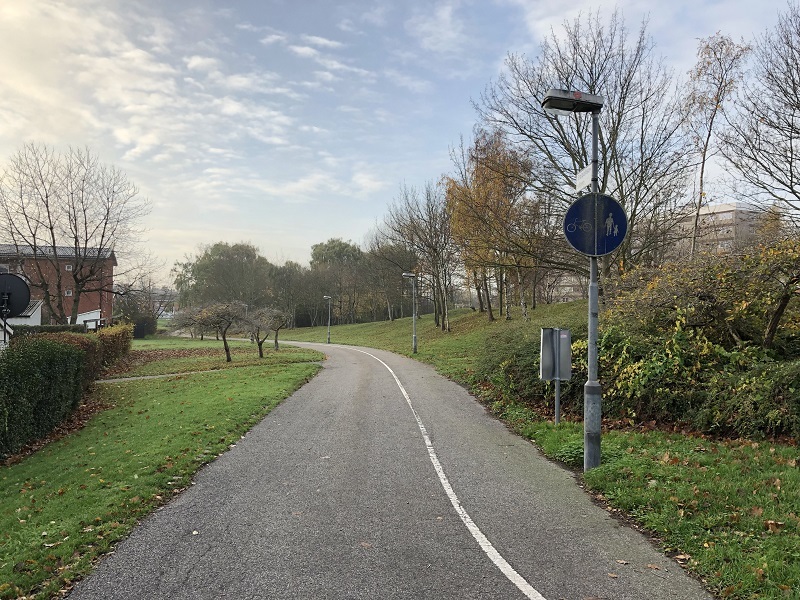 That is too difficult for a modern human being in Sweden 2018 since we have seen many real cases in the real life that proves that people do not know how to walk on a bike paths.